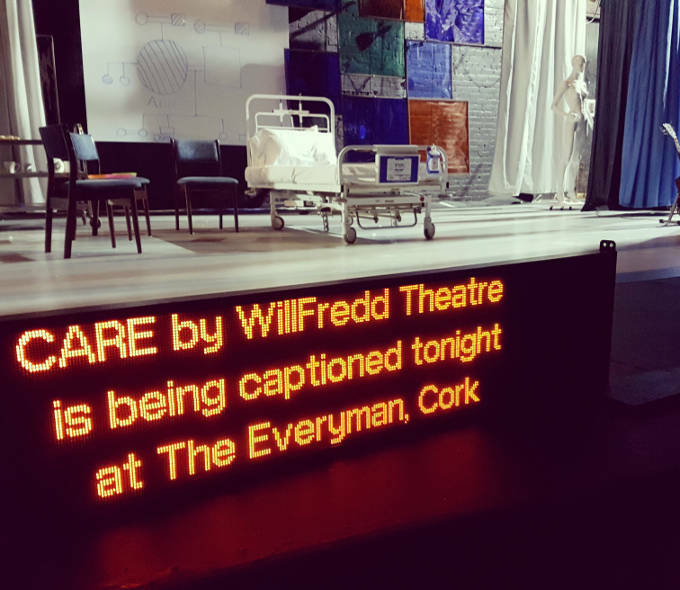 Captioning gives deaf and hard of hearing people access to live performances and screenings. It is similar to television and film subtitling. Captioning converts the spoken word into text, which is displayed on one or more caption units situated on, above or next to the stage. As well as dialogue, the captions include the name of the character who is speaking or singing, as well as descriptions of any sound effects and any safety announcments. In addition to assisting people with hearing disabilities, captioned performances have been found to benefit foreign visitors and students who are studying the play or learning to speak English. Suitable for live performance and film.